The terrace, which felt like our own garden, the peaceful pool, the security of the property. Loved the security around the complex, short walk to beach & shops, apartment very clean & modern. Closeness to Port Aventura theme park and beach at La Pineda. Direct bus (5 minute walk to bus stop) to Port Aventura from La Pineda. Nice pool in grounds of complex. Apartment very clean and well equipped. 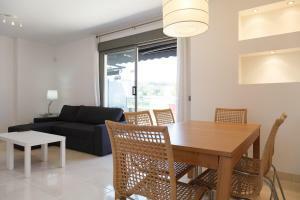 Location was good, walking distance to La Pineda (the beach). A bit longer to Salou main beach (4km). Small but handy pool, which was easy to dip in when ever felt like it. Clean premises, quiet in nights and closest supermarket was close by, about 4 mins walk. Air-condition was working and needed! Water Park - aquatic park was super cool and close by. El apartamento estuvo bien. Amplio y moderno, exceptuando lo indicado como negativo. Muy cercano a PortAdventura World, pero no para ir caminando. Cercano a las playas y algunas zonas comerciales. Puedes aparcar en las afueras sin problema. Complejo nuevo. Lock in a great price for UHC Salou Villa Family Complex – rated 8.3 by recent guests! One of our top picks in Salou.Just 1,650 feet from La Pineda Beach, UHC Salou Villa Familiy Complex offers 2 seasonal outdoor pools, tennis and padel courts and extensive gardens with children’s play areas. 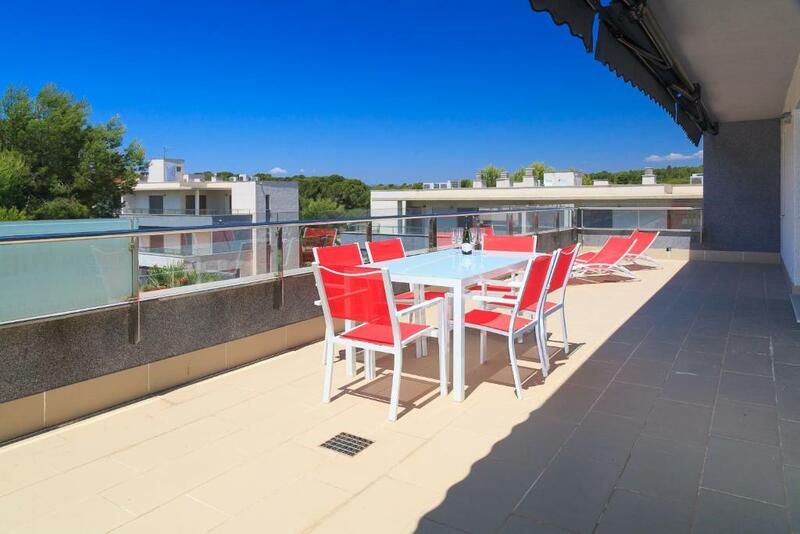 Each air-conditioned apartment has a furnished terrace. Overlooking the gardens and pools, each modern, functional apartment has a living-dining room with a double sofa bed and a flat-screen TV. Kitchens include a ceramic hob, microwave and washing machine. 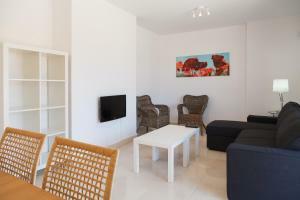 UHC Salou Villa Familiy Complex is located in the quiet Cap Salou area, around 1.2 mi from the lively center of Salou. Aquapolis Pineda Water Park is 0.6 mi away, while PortAventura Theme Park is 2.5 mi away. At an extra cost, staff can arrange transfers to Reus Airport, a 20-minute drive away. When would you like to stay at UHC Salou Villa Family Complex? This modern, air-conditioned apartment has a furnished terrace overlooking the gardens and swimming pools. It offers 1 double room, 2 twin rooms and a living-dining room with a double sofa bed and a flat-screen TV. The kitchen includes a ceramic hob, microwave, dishwasher and washing machine. Two Bedroom Atic with pool view. 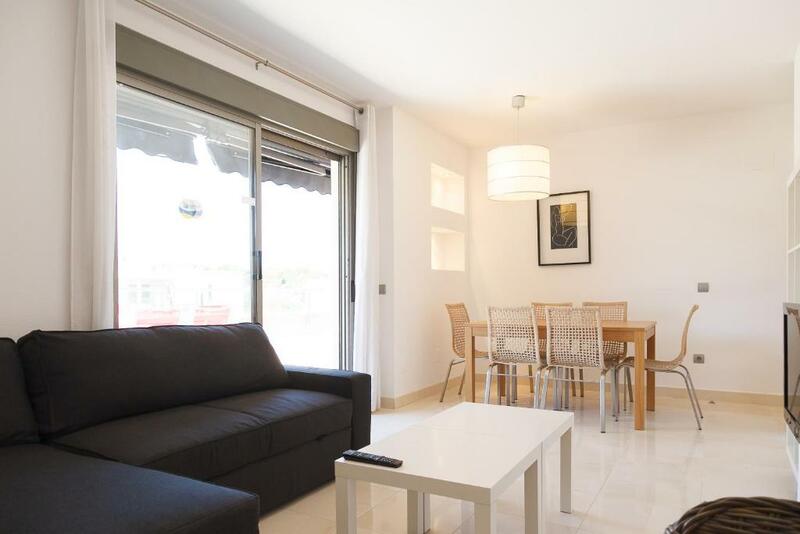 This modern, air-conditioned apartment comes with 1 double bedroom with an private bathroom with a bath and shower and 1 twin bedroom. The second bathroom comes with a spa shower. There is a fully equipped kitchen including a dishwasher and washing machine. It includes a living-dining area and a furnished balcony with views over the pool and garden. Featuring a terrace and private garden, this modern apartment comes with 2 spacious bedrooms, a fully equipped kitchen and a living-dining area. This apartment has a electric kettle, private entrance and seating area. This apartment features a seating area, toaster and electric kettle. This apartment has air conditioning, washing machine and stovetop. This apartment features a washing machine, electric kettle and private entrance. This apartment has a private entrance, dishwasher and washing machine. Newly built and modern property only minutes walk to the beach, public transport and restaurants. The complex grounds are simply stunning with well-maintained gardens, two pools & tennis courts and a children's play area. 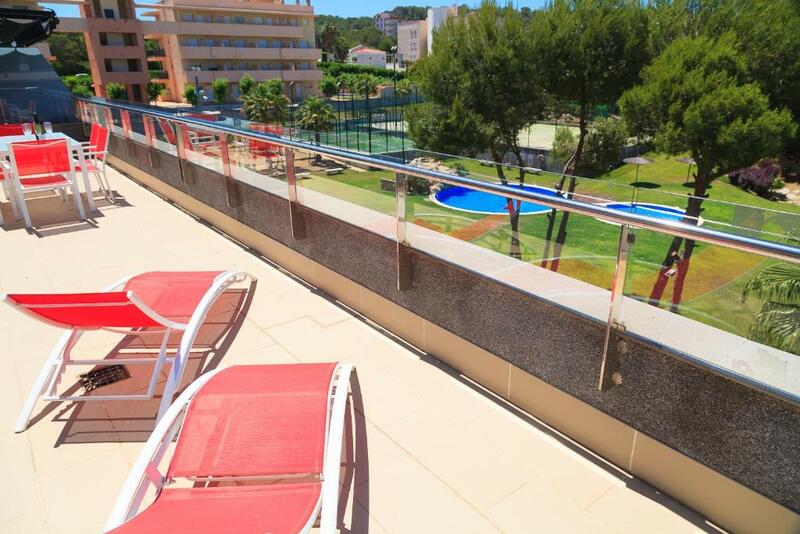 Situated in prestigious Salou Club Complex, close to the beach, bars, restaurants, evening entertainment and within walking distance to the Aquopolis Water Theme Park. The modern kitchen is fully equipped with a dishwasher and a washing machine. UHC is an established company within the tourist rentals sector. Our priorities are quality, service, efficiency and the excellent care of our clients. In addition, as a symbol of quality and warranty, we belong to the ASSOCIATION OF TOURIST APARTMENTS OF THE COSTA DORADA. Said association is a professional organization consisting of legalized companies within the tourist apartments sector and is committed to quality within this sector, granting clients of its associates an emblem of safety and confidence. 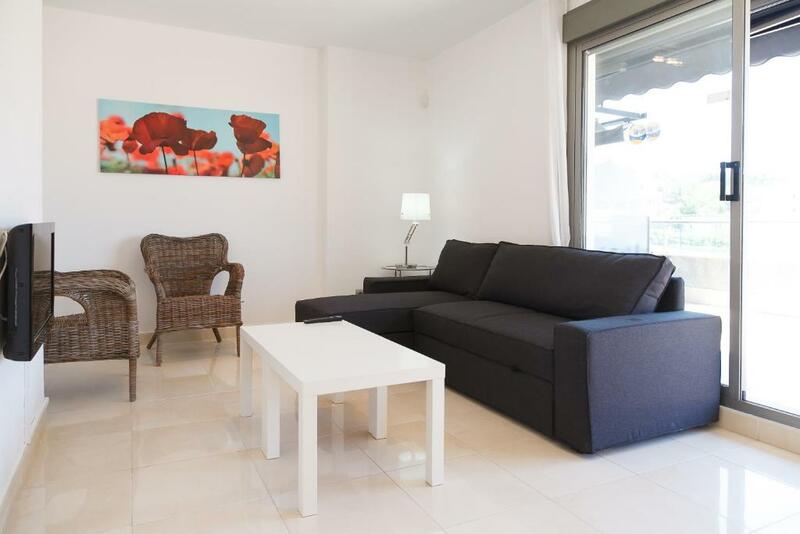 Services offered: Holiday Rentals on the Costa Dorada: The area we work in is, above all, the localities of Salou, la Pineda, Cambrils, Hospitalet de l'Infant, Miami Playa and Torredembarra. Every property has been inspected by a specialist team from our company in order to guarantee their comfort. We have a professional cleaning, maintenance, gardening and pool cleaning service. Ticket selling for theme parks and leisure activities. Guided tours to the main points of interest in Catalunya. Purchase-sale of properties on the Costa Dorada. The golden sand beaches and coves and the calm waters of Salou have made this destination one of the leaders on the entire Costa Daurada. Its excellent climate and its commitment to the highest quality services have led to Salou being awarded certificates as a Family Tourism Destination and a Sport Tourism Destination. The guinguetes (Catalan for beach cafés) have also been recently remodelled and they are all modern and functional now, in line with top notch facilities in similar places. It merits mention that Salou has one of the longest tourist seasons in Catalonia. The beach is 1,174 metres long and its shining features are shallow waters and fine golden sand. It has a full range of services and is certified with the Q for Quality. The beach has a Kiddy Club, as well as a playground. In July and August, workshops and activities run by monitors are organised from 11 am to 6 pm. 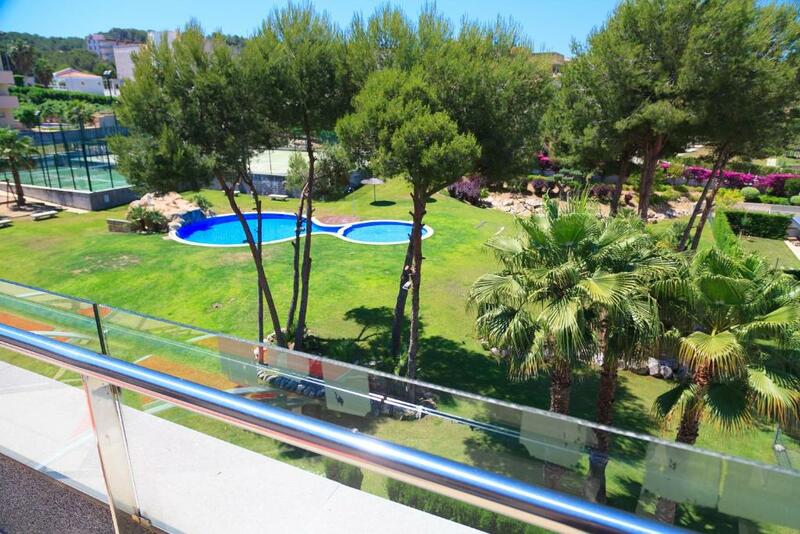 House Rules UHC Salou Villa Family Complex takes special requests – add in the next step! A EUR300 damage deposit is required on arrival (around USD337.31). This deposit will be fully refunded 14 days after check-out, as long as there isn't any damage to the property. UHC Salou Villa Family Complex accepts these cards and reserves the right to temporarily hold an amount prior to arrival. WiFi is available in all areas and you can contract packs of 1 GB each with a validity of 24 consecutive hours at the extra cost of EUR 12 per pack. This service is contracted for the whole stay and cannot be split. You must pay a deposit of EUR 120 at the time of collecting the router in the office. This deposit will be refunded after departure. Arrivals after 19:30 must complete a registration form and pay the full amount at least 48 hours before arrival. There is an extra fee of EUR 30. The keys can then be collected from a key box at the office at any time after 19:30. The property will contact you for further details. Please note that guests are requested to leave the apartment in the same conditions that they find it or charges will be applied. Please note, optional cleaning is available for an extra cost. Please note that check-in and key collection take place at: Avenida Batlle Pere Molas 3, Salou 43840. Please inform UHC Salou Villa Family Complex of your expected arrival time in advance. You can use the Special Requests box when booking, or contact the property directly using the contact details in your confirmation. A damage deposit of EUR 300 is required on arrival. That's about 337.31USD. This will be collected by credit card. You should be reimbursed within 14 days of check-out. Your deposit will be refunded in full by credit card, subject to an inspection of the property. I didn't like that we had to call to a seperate premises to collect the keys. It cost us an additional €15.00 for our taxi to wait to bring us onto the property. I would suggest that you have a representative on site at the complex or meet guests at the airport. We feel there could’ve been more information about the parking arrangements. Also, it would’ve been nice to have some basic essentials upon arrival; eg: hand wash, toilet roll, bottled water, tea, coffee etc; as we found this a little inconvenient when arriving so late and with a young child. Not very much to do in the surrounding complex area around the property! Unfortunately there is nowhere close to property to leave luggage once checked out! The layout of the property! Having to wait until 4 to be able collect keys, and then another 10 minutes journey to the apartment. I believe that there is real room for improvement in the way that collection of keys is operated. There must be an easier way to provide guests with their keys without having to obligate them to travel to Salou city centre. Perhaps a Key Collection Box should be available close to the property. The beds in our apartment were really really bad (too hard, bad for adults - children were ok with the beds though). Kitchen equipment needs some update, especially the knifes. There were not so many restaurants with different kind of food, so we went for lunch many days in Salou.